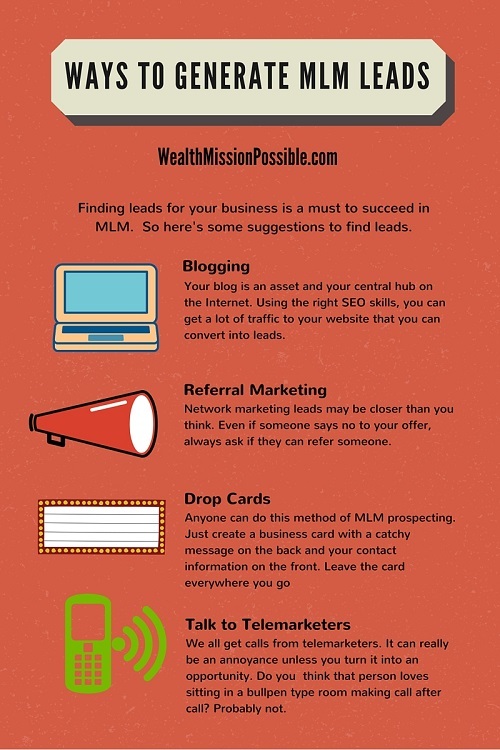 Finding leads for your business is a must to succeed in MLM. But how do you generate MLM leads? Do you start buying MLM leads or learn how to generate online leads? Do offline prospecting techniques still work? There is so much to consider. Today I have some proven ways for you to become a lead generation machine, both online and offline. Before I get into that, I want to explain why generating leads for network marketing is the most important income generating activity. If you don’t have people to talk to about your business, you won’t have a thriving business, ever. Take a traditional business like Starbucks. If Starbucks had no customers, they would not be in business very long. They do a lot of advertising to get their products in front of people so those people are always talking about their coffee. In your network marketing business instead of advertising, distributors sell directly to people. So, in a way, you are the advertising. The more people you share information with, the better chance you have of selling products or people joining your team. The most important skill you can learn is keeping a consistent flow of people coming to you. The next step is converting those leads into prospects. Those are people who show a real interest in your products or business. It takes time to develop the skills and a constant flow of leads but in the long term you’ll get the results you are looking for. With so many tactics to generate leads for your network marketing business, I selected the best ones that are proven to work. Your blog is an asset and your central hub on the Internet. Using the right SEO skills, you can get a lot of traffic to your website that you can convert into leads with the right content. Blog content marketing is a key method to generate MLM leads online. I have generated and converted thousands of leads into customers for my network marketing business so I know it works. Grab my Best of the Blog about Blogging ebook here! As one of the fastest growing social networks in 2015, this image sharing network has a very engaged user-base of over 400 million. Instagram is a proven method to generate MLM leads online for your business. With a carefully thought-out strategy, you can market products and services, and build your brand online. Learn more here. Video is a huge part of online marketing as we head into 2016. Already, more than half of all searches are performed on YouTube. 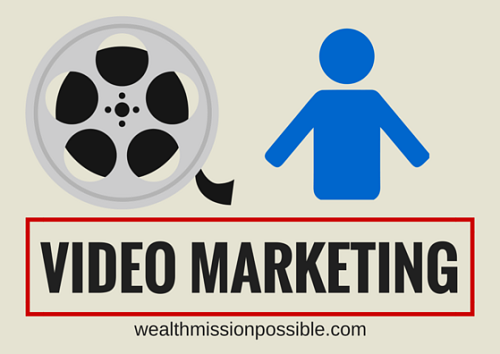 Video is a key method to generate network marketing leads online. YouTube videos give people a chance to get to know, like and trust you. If you don’t have a contact list, start one now! If you do just one thing, implement an email autoresponder into your business so people can subscribe to your newsletter. Email marketing is a way for you to build a relationship with people long after they left your website or saw one of your posts in social media. Email helps you get in front of people and keeps your name and brand in their minds. You can also start calling people on your contact list. If you aren’t sure what to say, you need this training. If you have existing MLM customers, start a referral rewards program. Let people know exactly what the referral program consists of. For example, if a customer refers a new prospect or customer to you, you can offer them a discount or a product at no charge. This is a great way to make every experience with you more memorable. 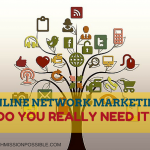 Network marketing leads may be closer than you think. Even if someone says no to your offer, always ask if they can refer someone. Maybe some of their friends would be interested in making some extra money or trying out a product. Learn more here. I’m sure you go out to the store and other public places, right? That’s a great opportunity to meet new people. Using the F.O.R.M. method, it’s easy to make a new friend – read more here. You can learn more about that here. If you meet new people, be interested in them. It’s not the time to pitch your business but a time to make a new friend and contact them later. This is one of my favorite ways to generate MLM leads. We all get calls from telemarketers. It can really be an annoyance unless you turn it into an opportunity. Do you think that person loves sitting in a bullpen type room making call after call? Probably not. Just ask if they keep their business options open. Sometimes, the call is being recorded and the caller won’t want to have a more person conversation but you can always get their contact information. Have you ever had a friendly waitress or waiter in a restaurant? Strike up a conversation and ask it they keep their options open. This is a great way to generate leads. Get their contact information and leave your business card too. You never know where you’ll meet your next great business partner. Most areas have networking events that you can attend. Usually there is a lunch or dinner, with time for networking. This is the opportunity for you to ask questions of others and NOT to just talk about you. Be interested in other people and take their card. You’ll have lots of calls to make for the next few days. 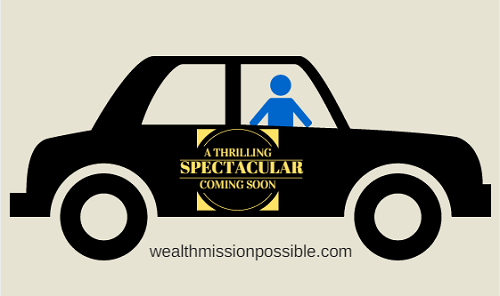 If you drive your car a lot, this free advertising is a great method to generate MLM leads. Depending on where you drive, your car ad can potentially be seen by thousands of people in a single day. Anyone can do this method of MLM prospecting. Just create a business card with a catchy message on the back and your contact information on the front. Leave the card everywhere you go: in magazines, restrooms, gas pumps, post office, gym, and so on. 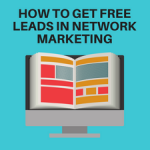 You can generate MLM leads using this method. I do it all the time! When you travel, you can use the same method of sizzle cards (above) to generate MLM leads for your business. On an airplane, leave the cards in the magazines. In your travels leave cards in: hotels, restaurants, bulletin boards, truck stops, restrooms and anywhere else you can think of. You send emails don’t you? You can create a signature which is a message that appears under your name in the email. It’s a way to get people to click the link to your website. 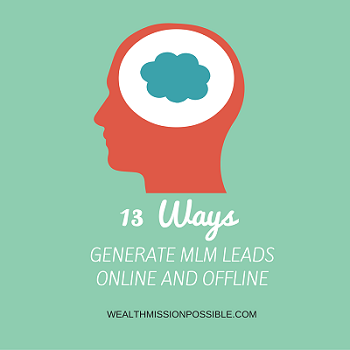 Learning how to generate MLM leads online is not hard when you have this many great ideas! Just do these activities consistently to generate lots of lead for your network marketing business. What’s your favorite way to generate MLM leads? Online, offline, a little of both? Share in the comments. PS If you are struggling to generate MLM leads online for your business, check out this crucial information. Thanks Matt! Let me know if you use it. With so many telemarketer calls these days, there are plenty of chances to turn these people into leads. Have an amazing day!